At the Premier's Council on Culture we talk a lot about the Alberta story and how it gets disseminated within the province and around the world. Our story is told by artisans in multiple ways: theatre, dance, spoken word, writings, paintings, drawings, carvings, pottery, crafts, music, and myriad methods of expression. Some absolutely marvellous stories are being told throughout Alberta. We saw one of those last night at "Picks of the Edmonton Fringe" - Albertan Theatre Tour Stimulus Project. "The Edmonton International Fringe Festival features plays from around the world," said Keri Mitchell, Executive Director of Theatre Alberta, in her pre-show welcome. "But the vast majority of shows are produced and created by Alberta artists. This project is about touring the best of those through the province." Never Let the Crew See You Cry by Linda Wood Edwards is currently on tour playing at places like the Daysland Palace Theatre in Daysland, the Jeanne and Peter Lougheed Performing Arts Centre in Camrose, the Red Brick Theatre in Edson, and the Horizon Performing Arts Centre in Spruce Grove. We got to see it last night. Three actors, two chairs and a projection screen, and the story of Ethel Wood came to life. 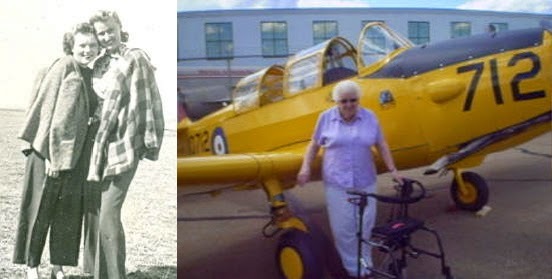 A young lady growing up during World War II, Ethel fell in love with aviation and lied about her age to get a job as a Flight Line Mechanic. 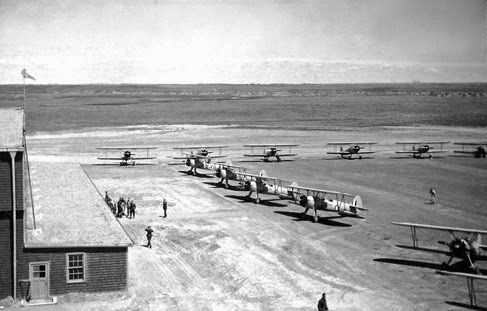 Thousands of allied aviators got their training on airfields scattered throughout Alberta. Scots, Brits, and Aussies popped in and out of these training centres on their way to Europe. Friendships were made, love was found and lost, and Ethel was right in the middle of it. Based on a true story, Never Let the Crew See You Cry captures a slice of the Alberta story in a way that was humorous, touching and informative. The real-life Ethel was honoured in 2001 by the late Alberta Lieutenant Governor Lois Hole for her significant contribution to the war effort. 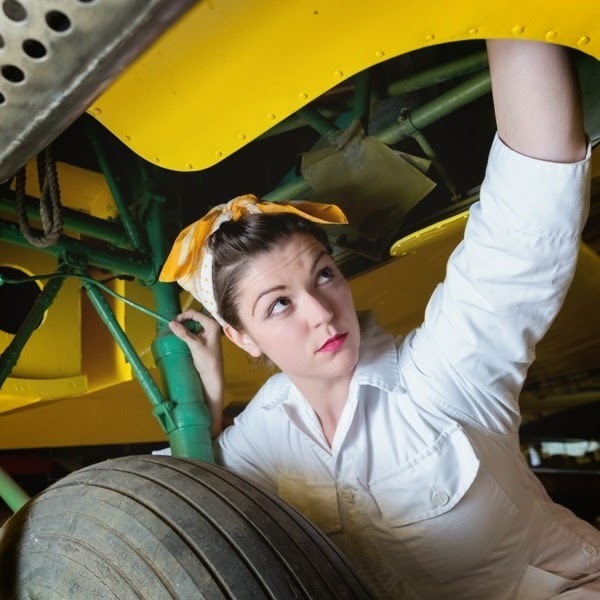 Born in Claresholm, she grew up in Stavely, and worked as a BCATP flight line mechanic in DeWinton. Ethel died last May at the age of 88. Special thanks to Theatre Alberta, the Alberta Foundation for the Arts, and Keyano Theatre Company for facilitating last night's performance. Produced by Northern Sabbatical Productions and MAA and PAA Theatre, it was a wonderful evening of live theatre and a delightful window into the past.